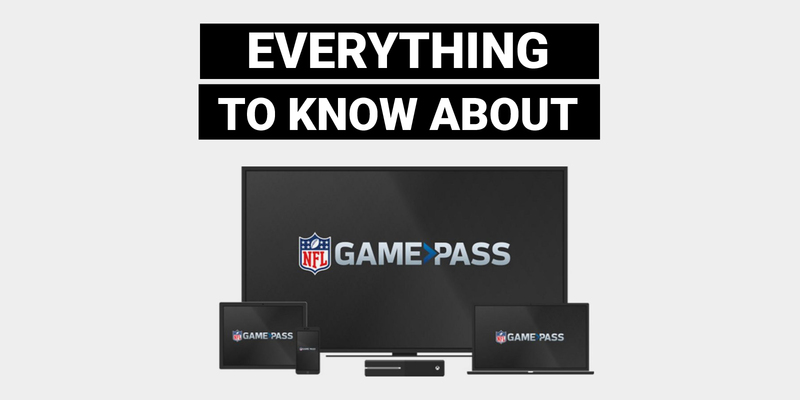 Wondering what NFL Game Pass (R) is? We got you covered. NFL Game Pass is the official streaming app of the NFL. It offers on-demand access to live coverage of pre-season games, access to every regular season game (live or on-demand), replays of games, live audio, highlights, stats, and a lot more. For the 2017 NFL season, you can purchase every game for $99. NFL Game Pass is loaded with features such as DVR control and you can even hide the scores of other games to avoid spoilers. NFL Game Pass allows its users to watch any NFL game on-demand, as well as, watch live and out-of-market preseason games. If you don’t sign up for any cord cutting services or you subscribe to one that has lackluster sports coverage then NFL Game Pass is a cord cutters dream. Sign Up: Signing up for NFL Game Pass is super easy to do. If you have a valid credit or debit card, simply visit their website. Click on the “Start Free Trial” button, create a sign in and password, and enter your billing information. After that, you will be able to access all the content NFL Game Pass has available to you. Other Services: NFL Game Pass is a stand alone application from the NFL and is not available through other streaming services. You are able to view NFL Game Pass using Chromecast and AirPlay for your Apple TV but you will need to make sure your Apple TV is up to date in order for it to function. It is also compatible with most PCs, tablets, and smart phones. Price of Service: After a one-week trial period (during which you can cancel at any time), the cost for a full season of NFL Game Pass is $99. If you are a member of the active military you can get an additional discount at check out. Is NFL Game Pass Right For You? Much like a lot of streaming services provided by professional sports leagues, the NFL Game Pass can be a pricey venture to the casual fans. But for die-hard football fans that are sick of paying for cable packages they don’t need, NFL Game Pass gives fans everything they want, with on-demand football and extras that you simply can not find anywhere else. For the ultimate football fan, NFL Game Pass is the way to go. One unfortunate aspect of NFL Game Pass is black out restrictions do apply. Please carefully check their website for an official listing.